WORX wants to provide an end-to-end solution for all of your outdoor and lawn needs. It not only has a complete set of outdoor power equipment, but also the most versatile wheelbarrow around in the Aerocart. The cordless tools are available in 20V, 32V, and 56V configurations that will fit the budget and application of any homeowner. 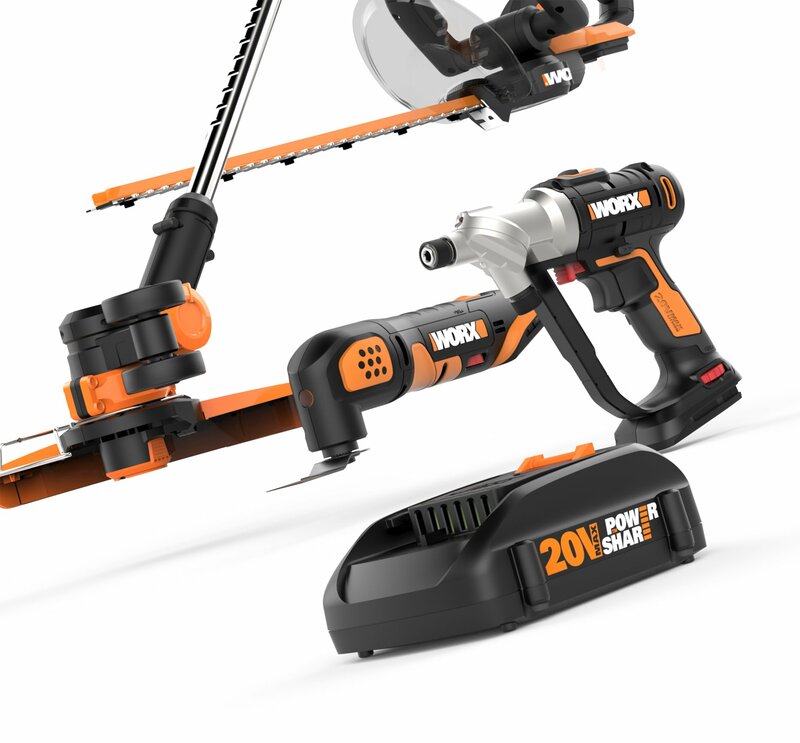 WORX has a wide line-up of 20V Power Share tools that work for your outdoor AND DIY tasks! Take a look at the NEW WORX Ai Drill with Advanced Intelligence Technology.